For most children, slides are still the most popular items of play equipment. The exhilaration of the unfamiliar and perceived risky movement is an important element of the slide. The downhill glide allows children to over come self-doubt and become daring with an enjoyable sense of achievement. 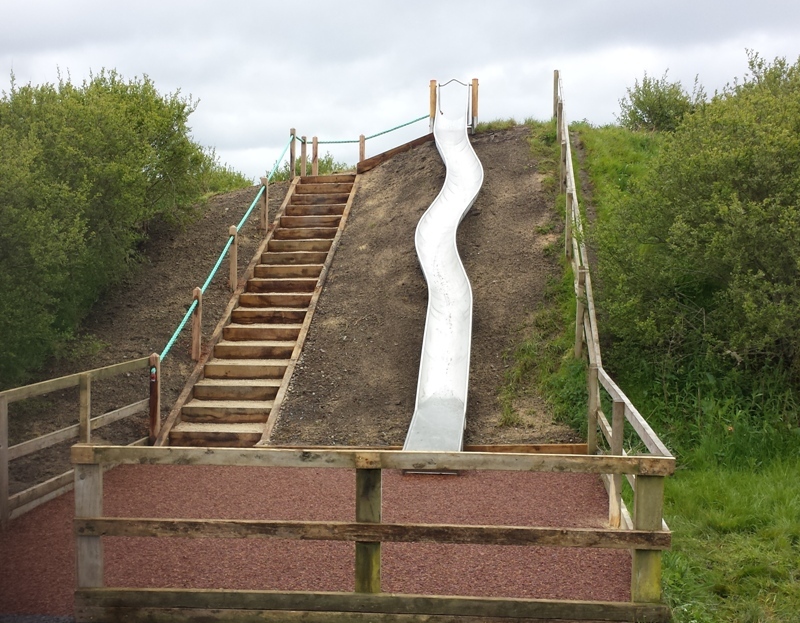 This long slide with curves provides a challenge to older children who still enjoy the basic element of the slide but seek the increased thrill of height and bends. The natural placement of the slide on the contours of the playground site encourage natural play and bring the playground piece into the environment rather than just placing it on it.